The NetShelter SX is a multi-functional rack enclosure influenced by customer feedback from around the world. These enclosures are designed to meet current IT market trends and applications ranging from high density computing and networking to broadcast and audio-video. 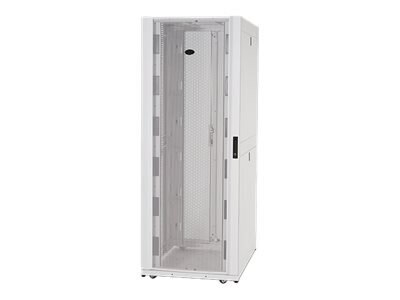 With a strong focus on cooling, power distribution, cable management and environmental monitoring, the NetShelter SX rack enclosure provides a reliable rack-mounting environment for mission-critical equipment.